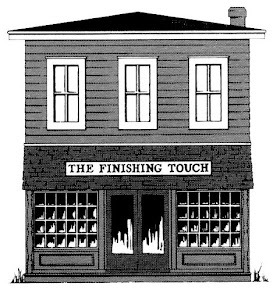 THIS has been a quiet week for receiving new designs, but here’s a look at what will be arriving soon. 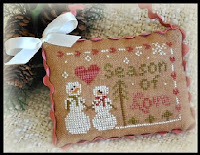 FIVE new kits from Shepherd’s Bush: SAY THANKS, GRATEFUL HEART, 2 STOCKING KITS (WISH AND JOLLY), AND MERRY CHRISTMAS. 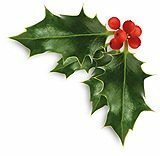 If you need a quick Christmas gift, the stocking kits could take care of that as they can be stitched very quickly. All these new designs are pictured below. TWO new small Christmas pillow kits from Pine Mountain Designs: BETTER NOT POUT and JINGLE ALL THE WAY. These cute little pillows can be finished in an evening or so. 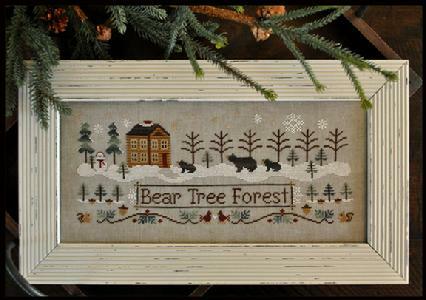 FROM Little House Needleworks comes BEAR TREE FOREST on 30 ct. Tin Roof fabric, darling design for winter season stitching. SEASON OF LOVE is the latest cute ornament from the house of ornaments. 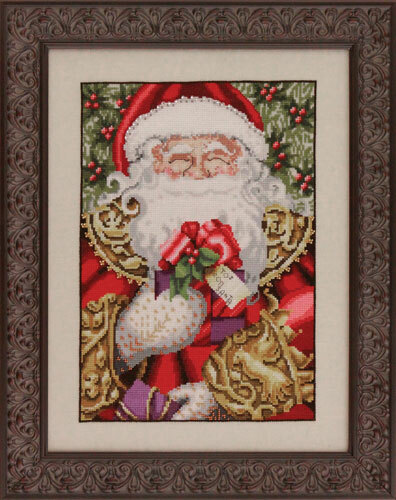 Come see our tree decorated with Little House ornaments A beautiful Christmas design by Nora Corbett – “SANTA” - a legendary holiday spirit stitched in the merriest shades of red and gold.